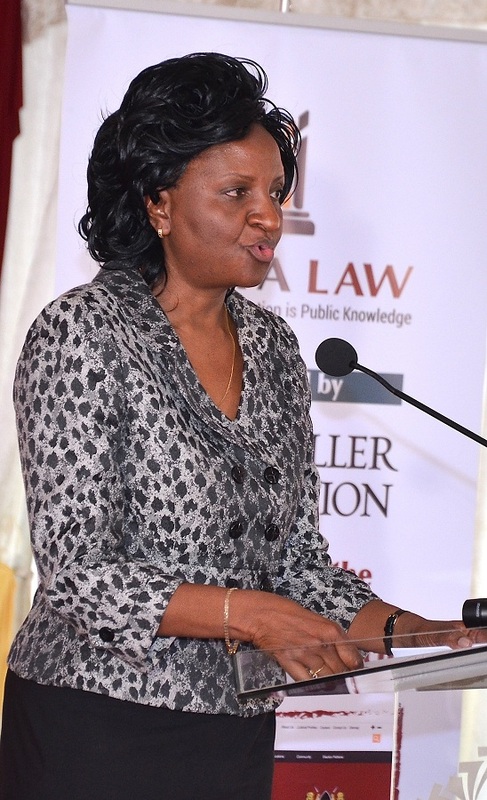 Kenya Law / Blog / Kenya Law News: Remarks by Ms. Anne Amadi, Chief Registrar of the Judiciary at the Launch of Kenya Law Brand, the Kenya Gazette Database and New Website. Remarks by Ms. Anne Amadi, Chief Registrar of the Judiciary at the Launch of Kenya Law Brand, the Kenya Gazette Database and New Website. It is a pleasure to welcome you here today. The presentation we have just seen is testament to the innovativeness and creativity of the Judiciary. There could not be a better example in the Public service of how information can be harnessed to ensure maximum benefit to the most number of people. The website of the National Council for Law Reporting has over the years distinguished itself as a source for accessible, timely and reliable legal information. Case law and judgments, County Laws, the online edition of the Kenya Gazette, Laws of Kenya, East African Legislation, Treaties (that Kenya has ratified) research publications; these are some of the resources to be found on the Council’s website. Indeed, kenyalaw.org is where legal information is public knowledge. In the past year, the National Council for Law reporting has revamped and optimized the website in order to ensure ease of access and navigability of the website while at the same time ensuring an informative experience for its users. This together with the move towards the use of simple language means that the information that is contained in the website is both accessible and understandable. The Council recognizes the importance of providing a website that is accessible to the largest possible audience. As such every effort has been made to ensure that all users, including those with disabilities, can use the site easily. In addition, I am pleased to note that the Council has also developed various applications, in partnership with Samsung and Strathmore Universities iLab Africa, that will further ensure that the information that is on this website is accessible via smart phones and tablets. As you may all be aware Africa is one of the worlds fastest growing markets for mobile phones and it is only proper that we maximize the full potential of these gadgets. The information that is available on this platform includes the Constitution of Kenya, selected statutes of public interest, case search and the cause list. A key result area in the Judiciary Transformation Framework is “Harnessing Technology as an Enabler of Justice”. The Judiciary and indeed the National Council for Law Reporting, believe that ICT has enormous potential to improve the administration of justice as a cross-cutting imperative for the pillars of transformation. I would like to take this opportunity, to thank the management and staff of the National Council for Law Reporting for their continued dedication to making Legal information publicly accessible. You have used ICT and Innovation as enablers of service provision and accessibility to information and justice. With those few remarks, it is my distinct pleasure to officially launch the upgraded website www.kenyalaw.org. Chief Registrar of the Judiciary of Kenya. We all wish you the very best in this onerous task. You will forgive me for not commenting on the above article. Mine will be to highlite the injustices currently going on at the Milimani Childrens court. One of the magistrates is almost always away sick or something. Her name is Ms Munyi. Many a times she has kept desperate mothers waiting in court for hours. Case in point was yesterday 26th and the previous day 25th when mothers with young kids waited all day but she never showed up until the following day when she finally came to court at 11.20 a.m. This is the third time I have been a victim like this. Taking time off from my employ only to go back to work without having my case heard. Worse still, the case having been filed under certificate of urgency in October 2013, (it involves school fees for a gal admitted in campus Moi University, Case No. 1464 Vanessa Kihara-Eliud Kihara) has never been heard although there has been alot of toing and froing, as I, the mother toils to make ends meet. The only reason I have used this forum is because I know of no other way to get in touch with you other than coming to your office which I know might not yield much because of the beaurocrasy that could come into play. I once complained to this honourable office but I did not get any response. Maybe this time I will.